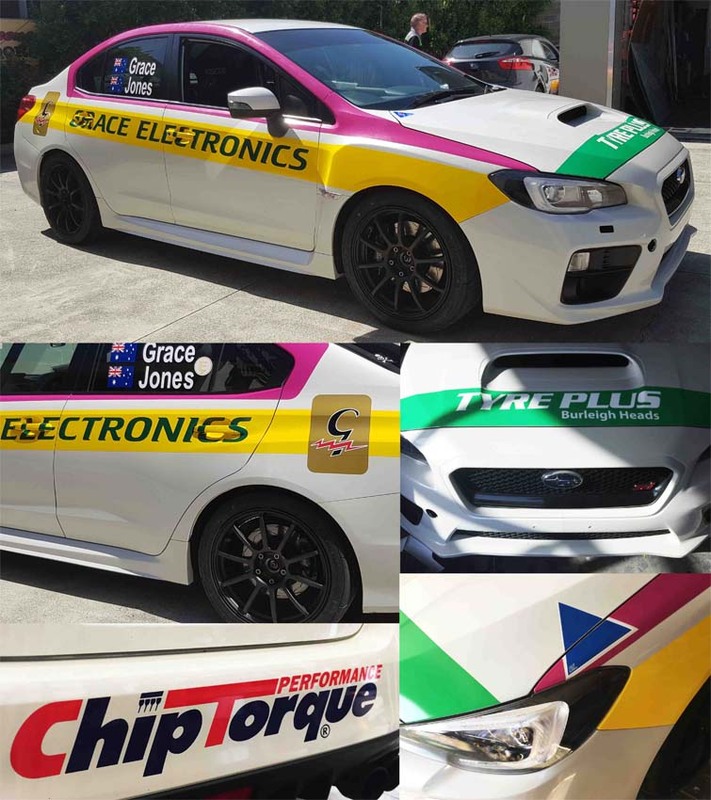 When our friend Anthony of Grace Electronics contacts us to “do another rally car”, we know we’re in for an interesting job. This time he wanted his WRX to have graphics added that were inspired by his father’s original work car!!! What a great idea…here’s a series of shots to show the fantastic result. Congratulations to Anthony and his navigator Craig Jones for a fantastic 2nd place in the NW Tasmanian Targa last month.